Offering products for the diverse soil conditions through practice of technological innovation & development, field trials, continuous improvement, thus ensuring consistent & value added solutions to the global clients. To make globally acceptable high quality soil engaging components for the agricultural industry at competitive prices. The Industry has large capacity of daily production to fulfill its requirements and a fully trained and experienced young energetic staff who is ready to meet new challenges and to invent something new according to new changes of the world. We have a specialty in completing the order within time limit. . The industry expertise and skill that we possess has helped the company in development of a robust infrastructure, which is backed with modern machines and equipment. To ensure high productivity, panel of professionals continuously upgrade the machines and find out the flaws so that it does not hamper the manufacturing process. 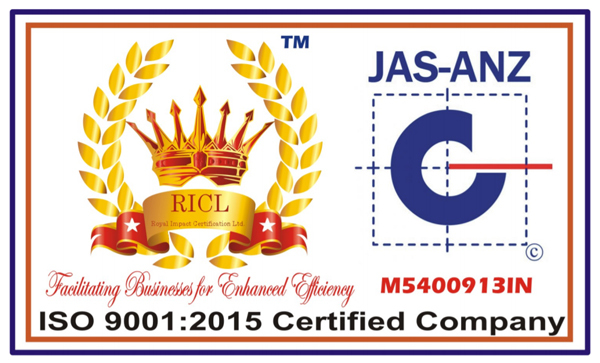 We are an ISO 9001:2001 company, recognized by Australian & New Zealand joint agency JAZ-ANZ. For our customer satisfaction we follow a very strict well-defined quality control policy as per which all the disc blades manufactured are closely inspected and passed through various quality control tests at every stage of production. The tests such as dimensional and performance tests ensure flawless quality of the finished products. Then, the products are packed with utmost care wrapped with high quality stretch films which prevent them from getting rusted. Use of latest techniques and methods has enabled us in delivering impeccable range of products in the markets. To maintain the quality standards, we procure the raw materials from reputed vendors, who have years of rich experience in this domain. For the same, we have an in-house quality examination department for testing the products on certain quality parameters. Our disc blades are carefully heat treated for the optimum set of mechanical properties to being rained to engage with the rocks, boulders and other obstructions during the working life of the blades in the field. The discs have a delicate balance of hardness and flexibility which is vital. Hardness ensures it breaks through the stones and other foreign blocks and flexibility ensures that the disc can take enough load and re-gain its original shape after a harder object comes through. We provide our customers Best Quality Discs and that also at Right Price. We offer timely delivery of shipments. We are using the cross Rolling Process for Manufacturing of Discs. We have a well-qualified product development team, backed with knowledge and experience in Metal forming for 35 year Plus.